You will love making pumpkins of all sorts with this template. Layered PSD file for you to create any number of different variations. Template is full sized and 300 DPI! 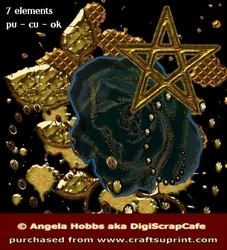 PU, CU OK, NO CU4CU, or RESALE without My Resale License Digital Resources from Digi Scrap Cafe – We carry an array of digital commercial use and resale resources for artists and designers, including scrap kits, clip art, templates, vintage ephemera, ebooks, and more.